Not quite as handsome as New Brunswick’s Legislative Assembly. The CBC recently ran an interesting article about electoral speculation — the political journalist’s favourite pastime — in Prince Edward Island when Premier Wade MacLauchlan refused to answer a simple question from an Opposition MLA on when the next general election will take place. This follows on the CBC’s earlier electoral speculation in January 2018. Perhaps we can excuse MacLauchlan for having maintained a politician’s coyness on the issue, because overlapping fixed-date election laws have made that question more convoluted. Prince Edward Island adopted its fixed-date election law in 2008 as part of its Election Act, which schedules the province’s general elections for the first Monday in October every four years starting in October 2011. The second fixed-date election should therefore have taken place in October 2015 — but it did not. In 2013, the government of Liberal Premier Robert Ghiz tabled an amendment to the province’s fixed-date election law; the legislature passed the bill in 2014. This updated fixed-date election law now states that if the scheduled provincial election would coincide with a scheduled federal general election, then the provincial election would instead take place six months later, in the following April. Here Prince Edward Island built upon the precedents of Manitoba and Saskatchewan, which had passed similar legislature for the same reason. In other words, Prince Edward Island’s last provincial election had been scheduled for April 2016, just as Manitoba’s and Saskatchewan’s. And Prince Edward Island’s last legislature would therefore have lived 4.5 years instead of 4 years, from October 2011 to April 2016. (3) If the writ period for a general election to be held in accordance with clause (2)(b) overlaps with the writ period for a general election to be held pursuant to subsection 56.1(2) or section 56.2 of the Canada Elections Act, the general election shall be held on the fourth Monday in April, in the calendar year following the calendar year mentioned in clause (2)(b). (4) In subsection (3), “writ period” means, in respect of a general election held under this Act, the period commencing on the date of the writ and ending on the date of the ordinary polling day. However, Premier MacLauchlan, shortly after his mid-parliamentary appointment in February 2015, by-passed the whole process. Instead of serving as Premier for over a year before leading his party at the polls, he advised an early dissolution on 6 April 2015 without first having lost a vote of confidence in the assembly. The Liberals enjoyed a parliamentary majority, and the election on 4 May 2015 gave them an even larger majority. (That comes to a writ of 28 days). That fact that the Lieutenant Governor appointed MacLauchlan as Premier before he became an MLA might have contributed to MacLauchlan’s decision to opt for early dissolution. And now MacLauchlan faces the same Fixed-Date Election Problem: the legislation schedules the next provincial election for October 2019, but since that would coincide with the scheduled federal election, the law would postpone the provincial election to 20 April 2020 — what future political historians might refer to as the Pothead Election. Presuming a writ of 28 days, the 65th General Assembly would dissolve on Monday, 23 March 2020. Taken together, these provisions of the Election Act would push the 65th General Assembly close to maximum lifespan of five years (4 May 2015 to 4 May 2020), as prescribed in section 4(1) of the Constitution Act, 1982. This 65th General Assembly would certainly become the longest-lived elected assembly under a fixed-date election law. 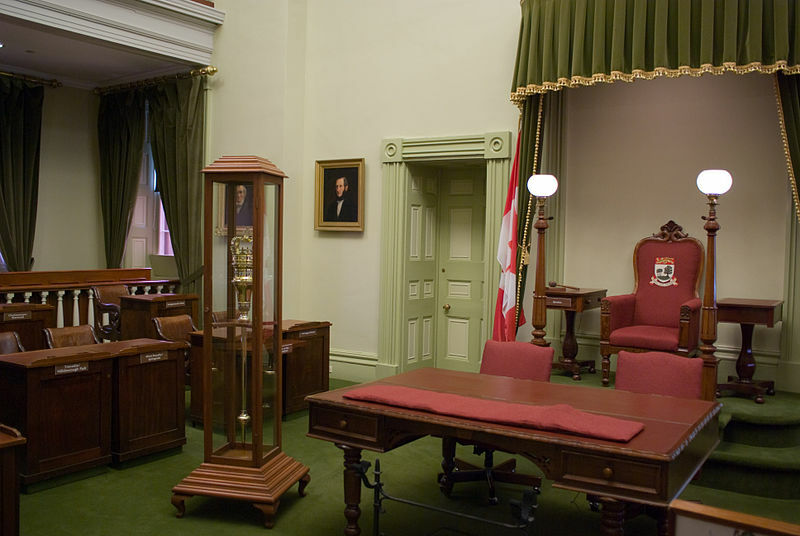 I therefore predict that Premier MacLauchlan will advise the Lieutenant-Governor to dissolve the current legislature early, perhaps for the fall of 2018 or the spring of 2019 — and thus become the first premier to advise early dissolution twice, or “break” a fixed-date election law twice, to state it in the parlance of 2008. Alternatively, the MacLauchlan government could follow Ontario’s recent precedent and Conservative Party Leader James Aylward’s advice and introduce a bill to switch the schedule of the province’s fixed-date elections from the fall to the spring in order to avoid any future potential overlap with a federal election. This entry was posted in Fixed-Date Elections, Reform. Bookmark the permalink. 1 Response to Will Wade MacLauchlan Become the First Premier to Ignore a Fixed-Date Election Law Twice?